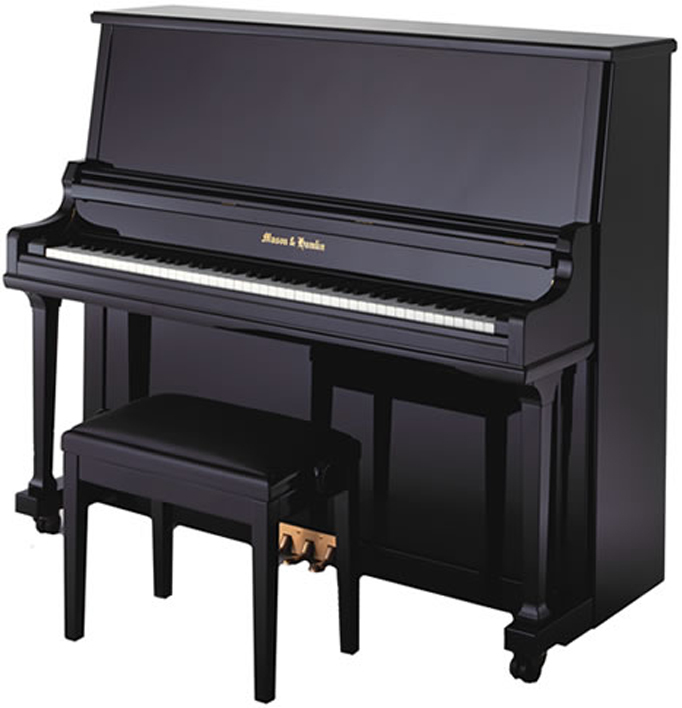 Mason & Hamlin is one of America's oldest and most respected piano manufacturers. Of the hundreds of American piano companies that flourished in the late 19th and early 20th centuries, Mason & Hamlin is one of only a handful of brands that survive today and of those brands Mason & Hamlin along with Steinway are the only two still hand made in America. In 1854 two brilliant idealists, Henry Mason and Emmons Hamlin, founded the Mason & Hamlin Company in Boston, Massachusetts. Although their backgrounds and interests were very different, the two men shared a common goal: to make the world's finest musical instruments. Henry Mason was a member of one of America's oldest families—they were actually descendants of pilgrims who arrived on the Mayflower. The Masons were renowned for their involvement in the arts. Henry Mason was a pianist and his brother, William, was one of America's foremost classical pianists and composers. Emmons Hamlin was not a musician, but instead a brilliant mechanic and inventor. Although the company was started with very little capital, the two owners were determined to make only the very best instruments, even if there were very few produced. Fortunately, the combination of limited production and great attention to detail paid off, and the company and its products were instantly successful and in great demand. Arthur Loesser summed up their success in his book, Men, Women and Pianos, A Social History: "Mason & Hamlin…soon became and remained the foremost in the field. "Mason & Hamlin built its pianos with the very finest materials—slowly and meticulously, with great attention to even the smallest detail. Wisely, it also hired brilliant designers. Among them was Richard W. Gertz, a genius who contributed many innovations to the piano industry, including the Duplex Scale, screw stringer and the Tension Resonator, a remarkable device that was designed to maintain the crown of the soundboard for the life of a piano." With Mason & Hamlin’s innovations, use of only the finest materials and expert craftsmanship, its pianos were and continue to be the America's costliest to produce and widely accepted as the world’s finest. By the turn of the century, the Golden Age of the Piano was in full force and the most illustrious concert artists of the day aligned themselves with piano manufacturers. Mason & Hamlin was at the forefront, and great virtuosos, including Sergei Rachmaninoff, endorsed Mason & Hamlin pianos. 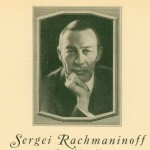 Sergei Rachmaninoff on his first American concert tour wrote his success was because of performing on his beloved Mason & Hamlin. One of the world’s most famous violinists was the American Yehudi Menuhin. In 1924, at the age of 7, Menuhin made his public debut. 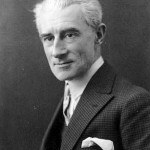 The child prodigy astounded the classical world with his artistry, and in 1935 he undertook his first world tour playing in 73 cities in 13 countries. The Mason and Hamlin archives include many letters from Menuhin extolling the virtues of his Mason & Hamlin pianos: “Among all pianos none compares with the Mason & Hamlin in beauty and grace of tone, or in mellowness and softness and yet in bigness or in anything that a sensitive and, as it were, human piano should have. “ At one time. Menuhin had five Mason & Hamlin grand pianos in his West Coast home. World War II brought the American piano industry to a halt, since basic piano building materials like iron had to be used for the war effort. Mason & Hamlin, like Baldwin and Steinway & Sons turned from making pianos to building wooden parts for airplane gliders. This continued until the end of the war. Beginning in 1945, Mason & Hamlin pianos were made in the Aeolian American plant in East Rochester, New York. In 1996, one of the most successful businesses in the piano industry was PianoDisc, a manufacturer of computerized player systems for acoustic pianos. Gary and Kirk Burgett, PianoDisc’s owners, were longtime fans of Mason & Hamlin pianos. When they heard that the company was for sale, they acquired it. 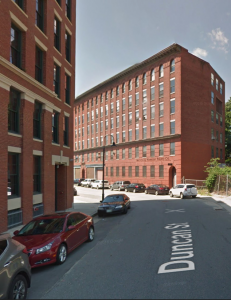 Today the company is headquartered in Haverhill, Massachusetts, not far from its original location in Boston, the birthplace of American piano design and manufacturing. Six floors of its busy factory are dedicated to handcrafting Mason & Hamlin pianos. The public is invited to see for themselves these legendary pianos being given birth during their weekly factory tours. Within its walls, workforces of 70 highly skilled craftsmen complete every phase of production from rim-pressing to refining the finished product. The company invites the public to tour the factory where they can observe every phase of the manufacturing process. Contact us if you'd like us to arrange a tour for you. 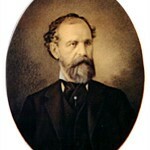 Just like Henry Mason and Emmons Hamlin, the Burgett brothers brought unique and diverse experience and interests to their partnership. Gary was a pianist and music educator, with a degree in piano performance. Kirk has had over 25 years of experience as a piano rebuilder and technician. He holds the prestigious rank of Certified Tuning Examiner in the Piano Technicians Guild. 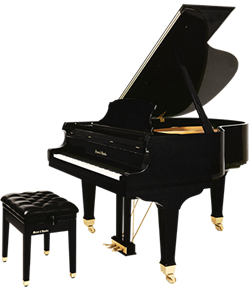 Wisely, the Burgetts retained many important original features and designs (including Richard Gertz’s Tension Resonator), and by incorporating technological advances made in piano manufacturing during the last few decades, they not only recreated the Golden Age Mason & Hamlin pianos, but in many ways improved on them. Attention to detail takes time, and Mason & Hamlin invests a great deal of time in every piano it makes. Before a Mason & Hamlin leaves the factory, it’s inspected no fewer than 12 times. 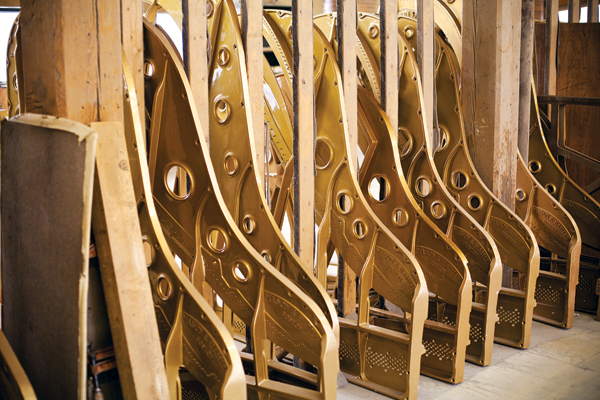 Choosing quality over quantity, Mason & Hamlin limits its annual production to 50 uprights and 200 grand pianos. 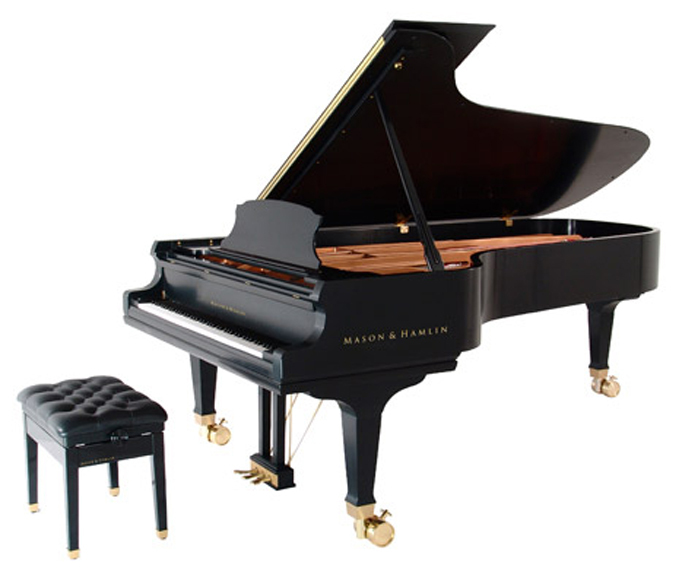 From a Downbeat magazine review: ”Mason & Hamlin’s Model BB Semi Concert grand plays with the consistency and response of the finest concert grand pianos.” In just a few short years, Mason & Hamlin pianos have returned to the concert stage, prestigious music schools, recording studios, conservatories and homes across America. History has indeed repeated itself and Mason & Hamlin is back—still the costliest piano to produce, still the choice of discriminating musicians and still the "world’s finest piano." Since 1854 when Henry Mason and Emmons Hamlin joined forces to create a company with a single vision: to build the finest musical instruments in the world. Today, Mason & Hamlin hold true to that vision. The same standards of quality that were established one hundred and fifty years ago continue to guide a new generation of piano makers. Hollywood Piano is proud to be the exclusive Los Angeles, Orange County, and Ventura County representative for these one of a kind masterpieces. We invite you to come in and experience Mason & Hamlin pianos. Mason & Hamlin pianos outlast ALL OTHER PIANOS! When purchasing an heirloom quality musical instrument one of the things to look at is longevity which ultimately affects investment value. Today's Mason & Hamlin is built to last with a combination of features and benefits that no other piano has. Here are some reasons why. 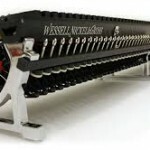 Wessel, Nickel, Gross Piano Actions - the piano as we know it today was invented over 300 years ago. It was a unique combination of machine and string/percussion instrument. Three hundred years ago many machines were made out of wood and the 10,000 moving parts in the piano were no exception. Wood though has inherent flaws such as being susceptible to changes in environment of temperature and humidity. Wood expands, wood contracts and wood eventually dries out and cracks. Wood VS. WNG action parts. Over the years there have been experiments with many materials to replace wood. Some were also flawed like plastics used in piano actions in the 50's and 60's. One of strongest new materials is carbon fiber. While other companies have tried using this material Mason & Hamlin is the only piano on the market with 100% carbon fiber parts leaving no wood to dry out or crack over time. One estimate on how long this material will last is 125 years. Imagine a piano that can go on for over a century feeling nearly the same as it did when new. Imagine a piano action that even after rigorous long term use does not need to be rebuilt. Other than Mason & Hamlin there is no other piano that can claim this. 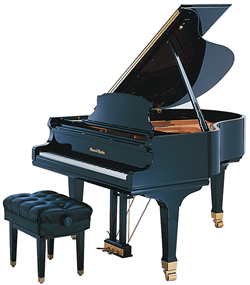 (Kawai pianos use carbon fiber actions although still incorporating wood hammer shanks.) WNG long lasting piano action parts are now being used by institutions all over America. WNG Parts at famous institutions. Crown Retention System - renowned German piano designer Richard W. Gertz is the mechanical genius behind many of the innovations created by Mason & Hamlin in piano designs. His crowning achievement is the Tension Resonator Crown Retention system found on all Mason & Hamlin pianos. 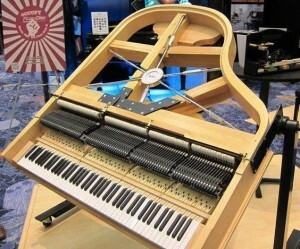 This unique invention allow the piano to retain the volume producing crown (curvature or slight bowing) of the soundboard for decades longer than other piano brands. It's not unusual to find a one hundred year old Mason & Hamlin piano that still sings. About the Crown Retention System. Full Perimeter Plate - A piano can have from 18,000 to 30,000 tons of pressure on the plate. To support this pressure piano plates are made of cast iron which in most other grand pianos is shaped like a harp but in a Mason & Hamlin it coves the full perimeter of the piano. Mason & Hamlin uses only plates that have been sand cast the old fashioned way like a church bell. 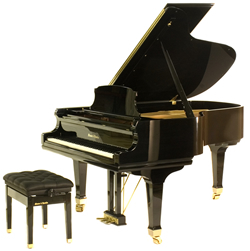 Many Asian piano manufacturers use what is called a V-Pro plate made in a vacuum process. V-Pro plates are made in 90 seconds are hardened with added alloys. These alloys tend to resonate causing some unwanted harmonics from these V-Pro plates. A sand cast plate is cast and cured in the elements in a process that takes many months. Japanese piano manufacturers do the sand cast plate on only on their most expensive instruments. Mason & Hamlin plates waiting to go into pianos. Thick Hard Rock Maple Rims - Mason and Hamlin are massively dense pianos. The rims are made from 18 plys of hard rock maple, one of the thickest in the industry. These thick rims contribute to the almost endless sustain and beauty in the Mason & Hamlin Tone. The rim also contributes to the structural integrity and longevity of the piano. Mason & Hamlin Are Good Investments - Imagine owning a product you enjoy for years as a treasured part of the home, as a magnificent sounding instrument, as a source of pride and it actually increases in value roughly 4.5% per year over time. More so than ever before the Mason & Hamlin is an heirloom product built to last and made to be passed from generation to generation. Unlike Mason & Hamlin, Yamaha has been making pianos for over 100 years, yet no one rebuilds 100 year old Yamaha pianos. Check out this Mason & Hamlin investment information . Amazing Value - Mason & Hamlin is the costliest American piano to build from the standpoint of raw materials alone when compared to it's closest competitor, Steinway & Sons. Labor costs in Boston where Mason & Hamlin are made are very similar to Long Island City New York where Steinway is made. Mason & Hamlin makes every piano by hand and only produces around one quarter of the pianos Steinway makes allowing more attention to detail on every instrument. You would think these two pianos would be priced similarly. Or maybe based on materials alone, the Mason should be higher priced. But the truth is Steinway has a gigantic mark up that cause their pianos to sell for tens of thousands more. Let's take for example a Steinway "B" which sells for over 100k. The comparable 7' Mason & Hamlin BB could save you $30,000 plus dollars. Theoretically you can get a Mason & Hamlin over a Steinway and buy a nice car too. The Hollywood Piano Showroom is the #1 Mason & Hamlin dealer in the USA for 2015. We've been the exclusive Mason & Hamlin store in Los Angeles and continues to deliver quality Mason & Hamlin pianos to clients throughout the San Fernando Valley, Los Angeles, Burbank, Pasadena and Southern California. For residents of Los Angeles there is one solution when it comes to finding the best in Maosn & Hamlin pianos, and Mason & Hamlin piano care including tuning, piano accessories and related services. Hollywood Piano has been serving Los Angeles piano lovers with quality Mason & Hamlin piano models for many years and has won numerous accolades and accomplishments along the way as the Mason & Hamlin dealer of the year. When it comes to buying a new piano in LA, fixing an old one or even trying to find a buyer for your old Mason & Hamlin piano, there is no better place than Hollywood Piano.